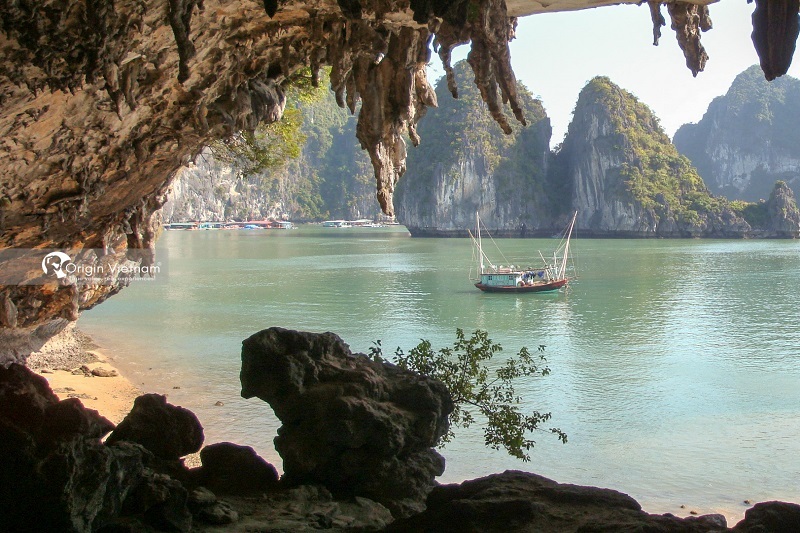 Are you looking to visit less tourist cave in Ha Long Bay? If yes. So please go for Bo Nau cave. Bo Nau Grotto or Pelican Grotto lies far from 2-3 km southeast of Trong Mai Islet. How Bo Nau cave is unique? This vaulted grotto covers 200 m2. The floor of the grotto is wide and flat, but not profound and its wall features lots of stalactites and stalagmites. 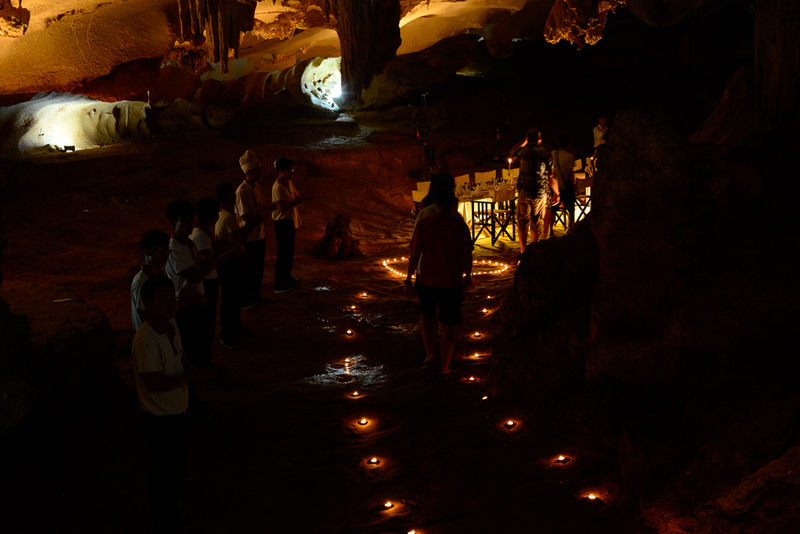 Bo Nau Grotto is among the beauty grottoes in Ha Long Bay for tourist visiting. 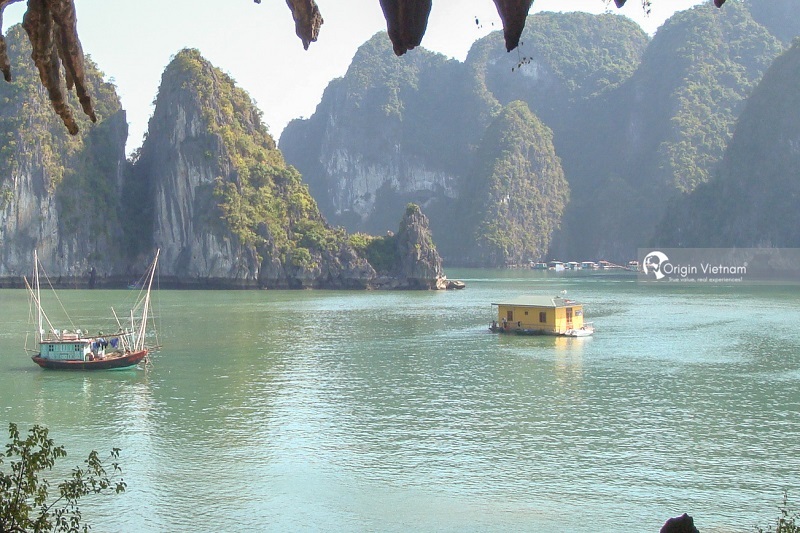 Nowadays there are thousand of visitors to Halong bay day tour daily. There are many caves open for tourist. But mostly visitor entry the cave the same time. So sometime it's get traffic jam inside the cave. In the entrance are 3 stones, looking for 3 fairies with their heads close to one another. Two guys seem to be playing chess, with the next serving as a referee. The name Bo Nau or Bo Nong is due to the fact that pelicans frequently take refuge here. If Dau Go Grotto lies entirely inside the island, Bo Nau opens its mouth in the face of the staircase. Stalactites fall down from the roof of the grotto in various clusters. In the mean time stalagmites grow up in various shapes and layers. Is this the life out there's so noisy that the 3 fairies have to choose this tranquil place to play chess? Turning southward, Bo Nau Grotto enjoys cool breeze. Standing there, one can listen to the murmur of the sea. Are there any cruise to Bo Nau Cave?